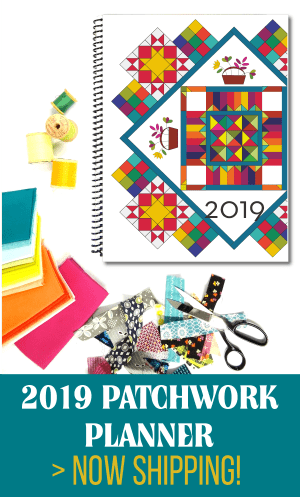 In a few of the last projects I have decided to jump past the hand stitching bit and go right to the sewing machine for a quick applique. I am not one of much patience, so this was a great way to quickly finish a project. Sometimes I feel that because I don’t like to do things by hand that I miss out on some super cute patterns or tutorials. I feel that way especially with hand sewn things. I don’t do it a lot…and sometimes I even cringe when I have a project coming up that calls for hand work. If there is anything to take away today it is to give new things a try and don’t worry if you used a hand method or machine method. Either way will turn what your working on into something Finished….and that is the real goal here isn’t it? It is for me! 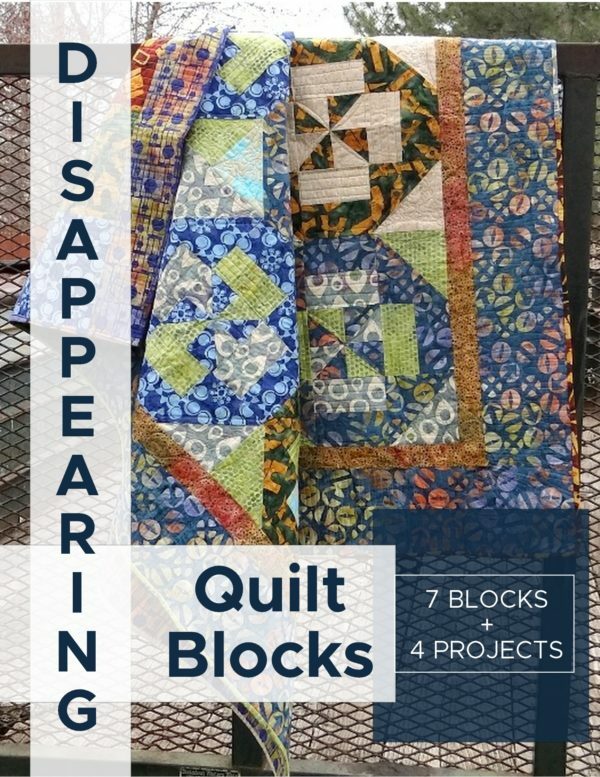 So, let’s get over our guilt, and on to how we can quickly finish some of our projects. Choose matching thread of the hexagons. 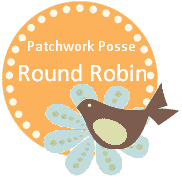 Keep your thread the same on the top and in the bobbin. That way, the little stitches that peak sometimes won’t be a different color. 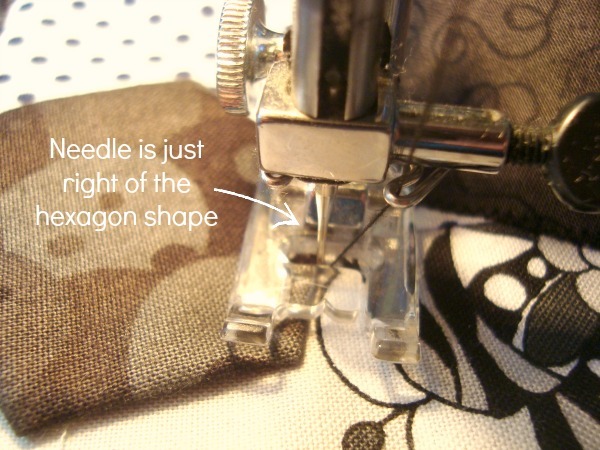 Keep your needle in a down position when turning a corner or pivoting to a new direction. 3. Stitch a zigzag or satin stitch along the outside edge. The stitch should be a small one. Just barely coming to the side. 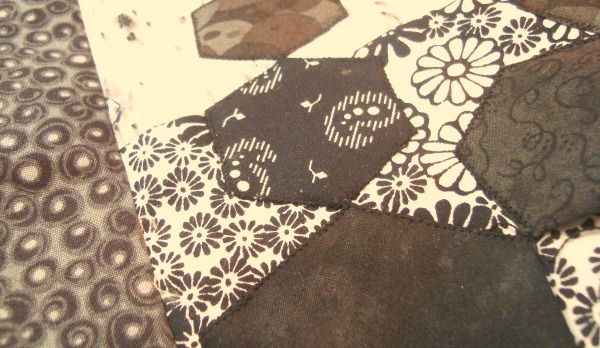 I do notice that when you machine applique, the hexagons are a little flatter and not as poofy. 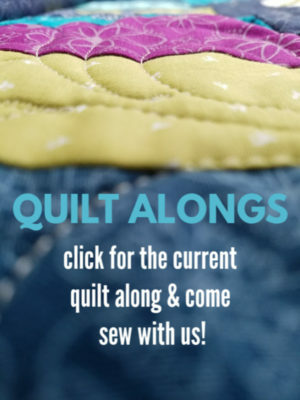 So, if you are looking for a fuller look- sew them by hand. If you are ok with flat, then this is the way to get it done a lot quicker! 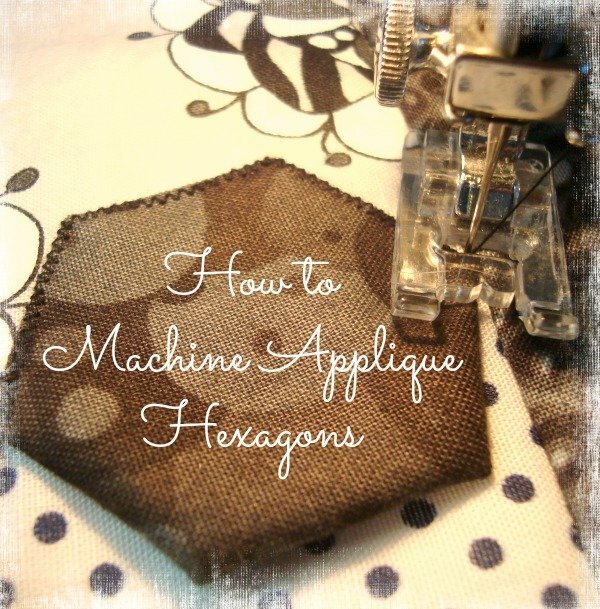 Need some Hexagons to sew now that you can whip them up by machine? Clickety Click here for a few different sizes. 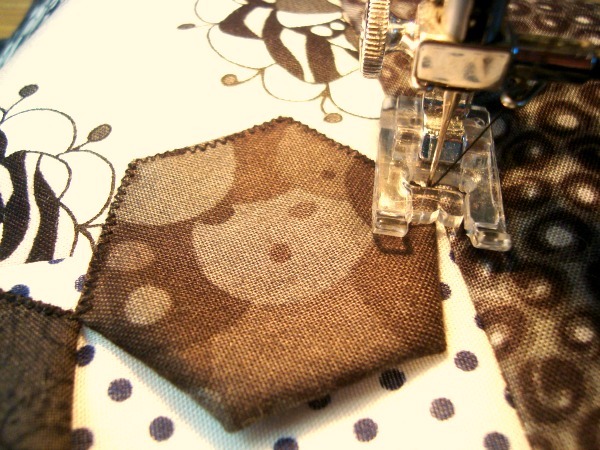 Do you have any tips for machine sewing hexagons? Thanks for the idea. 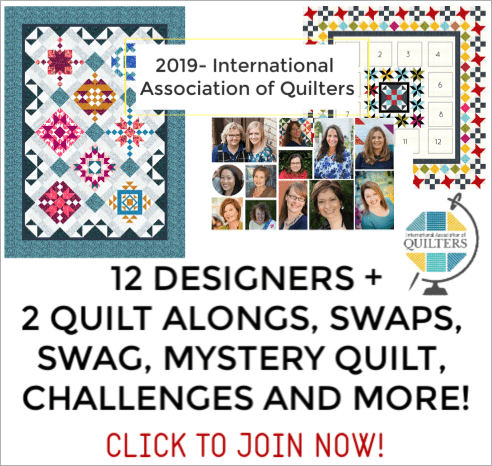 Working on a hexagon quilt right now and wondering how to join them to make the top.